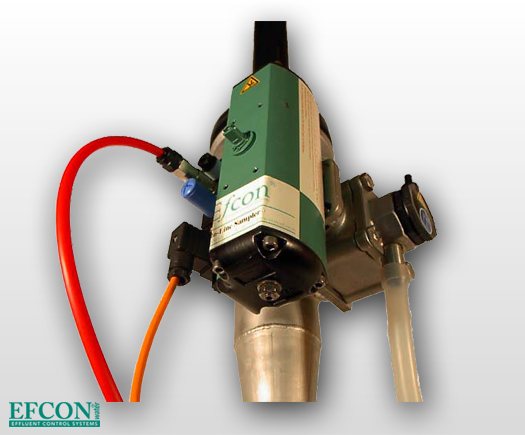 The Efcon® ILS 2W series is an automatic In Line flow trough, fixed volume sampler for use on a 100% filled and pressurised process line. The sampled process must be liquid, free of air and solids bigger than 5 mm. • Complies with EN ISO 5667 & NEN 6600-1 and can be supplied in a cost effective Efcon®omy- or the robust Efcon® Industrial model. • Can be supplied in PVC-C, PP and SS 316 enclosure with a Pneumatic (6-8 bar) or electrical 24 VDC actuator. • The sampler can be volume-, time- or event proportional controlled via an Efcon® controller of via a third party PLC. Recommended mounting fittings for the sampler can be supplied (option) in several dimensions. Use in hazardous environment is forbidden unless mentioned in the manual and on the product. 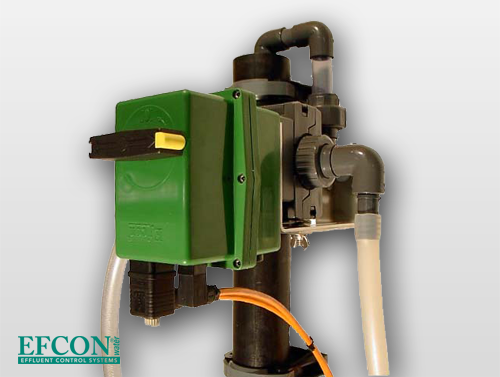 The Efcon® ILS 3W series is an automatic In Line flush trough, fixed volume sampler for use on 100% filled and pressurised effluent line. The sampled process must be liquid, free of air and solids bigger than 5 mm. • Complies to EN ISO 5667 and NEN 6600-1 and can be supplied in a cost effective Efcon®omy- or the rubust Efcon® Industrial model. • Can be supplied in PVC-C, PP and SS 316 enclosure with Pneumatic (6-8 bar) or electrical 24 VDC actuator. • The sampler can be volume-, time- or event proportional controlled via an Efcon® controller or via a third party PLC.